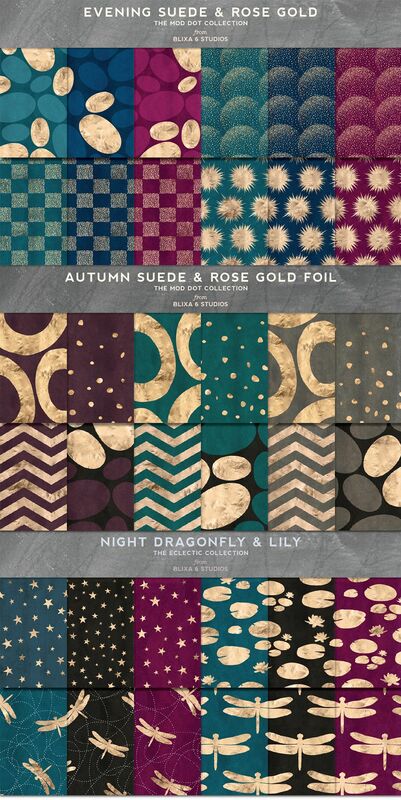 Give your next project a hint of shimmery gold and subtle suede with these gently gold textured patterns in a collection of rich autumn hues including peacock blue, deep magenta, aubergine, pewter gray and prussian blue. 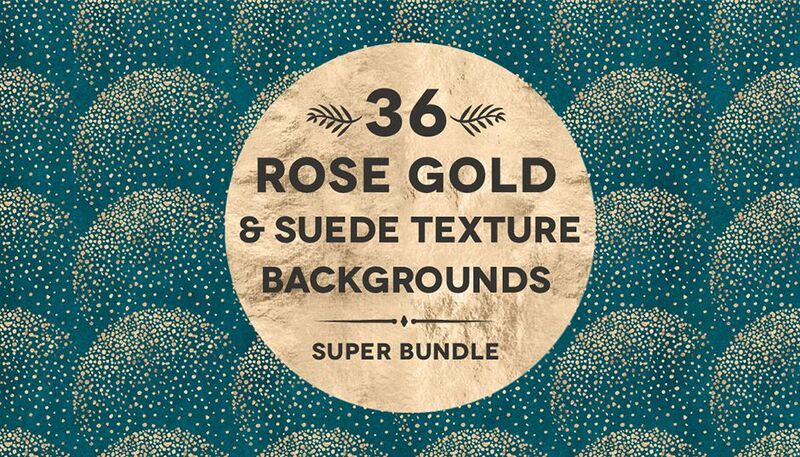 For this uniquely eclectic super bundle I have hand picked a selection of fresh rose gold digital patterns and packed them into one gigantic set, bursting with coordinating colors – perfect for building out your graphic tool box. 36 Suede Gold Textured Patterns. File size is approx 444.6MB (446.5MB unzipped), offered as a single download.